Thanks to this Guest Post I am dreaming of log cabins, summerhouses and escaping to a hideaway in the garden. A girl can dream eh? Exercise equipment can be bulky, and takes up a lot of space in your home. An outdoor workout cabin could be exactly what you need; free of distractions and with your own garden to admire. You don’t necessarily need a large space to work out in either. As already mentioned, there’s nothing better than enjoying the summer sun in your garden, though it is nice to have some shade. Choose a wooden hut with plenty of windows, and you’ll have a beautiful place to sit and relax. If you’re a keen gardener, then you’ll want to have somewhere to pot your plants, and store your equipment. Sheds are OK for storage, but they are too dark to work in effectively, and are generally unsuitable to fit with electricity. A cabin is great, especially in winter. If you’ve got the room, then having a swimming pool, hot tub or sauna in your garden is the ultimate luxury. It’s too cold to swim outdoors for most of the year, but in a garden building, you’re sheltered and warm. Tunstall Garden Buildings can make bespoke installations if you’re looking for something like this. If you need a home office, then a wooden cabin is one of the very best solutions you’ve got. There’s nothing like being able to work in peace, with the view over your own garden. You can have electricity, a phone line and the internet all fitted so that everything you need is there. There are lots of different things that you can do with a garden building, and you don’t even need a huge amount of space to have one. You can get very small ones, just big enough for a single person to be able to enjoy. What would you do with a log cabin in your own back garden? Oh I would so love any of these, I’m sure I would use the exercise machine if it was in a garden room, instead of our dingy garage! Really lovely post for summer. wow! what an amazing story! I love these ideas! and my will look fantastic with a garden office!! thank you very much!! love any of these, I’m sure I would use the exercise machine if it was in a garden room, instead of our dingy garage! Really lovely post for summer. Such a lovely garden building it feels wrong to call it a shed I would love this in my garden. I think having an outdoor exercise cabin is a great idea. Depending on the size of your home, exercise equipment can end up taking up way too much space. If you have the right windows you can also enjoy the outdoors while being in your own climate controlled environment for working out. This idea also avoids the problem of having a smelly room immediately after working out. If it’s separate from the rest of your house, then nobody ever has to notice! I love the summer house idea. What more can you ask for than a bright sunny day with light filling the windows that help grow your plants? 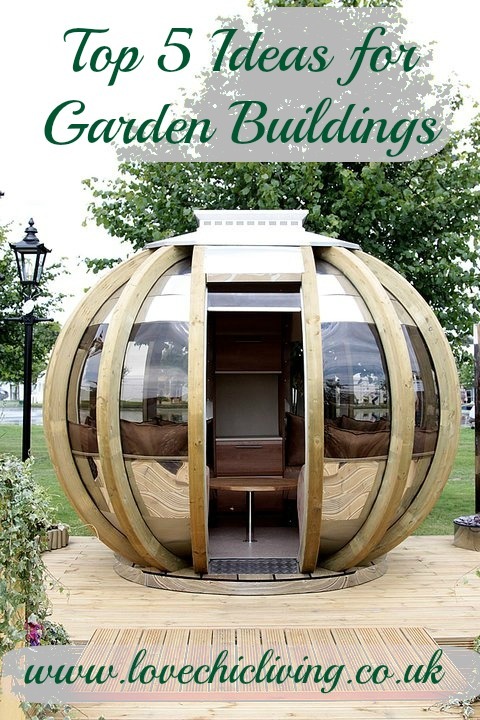 Thanks for the post – I love the idea of a garden office!